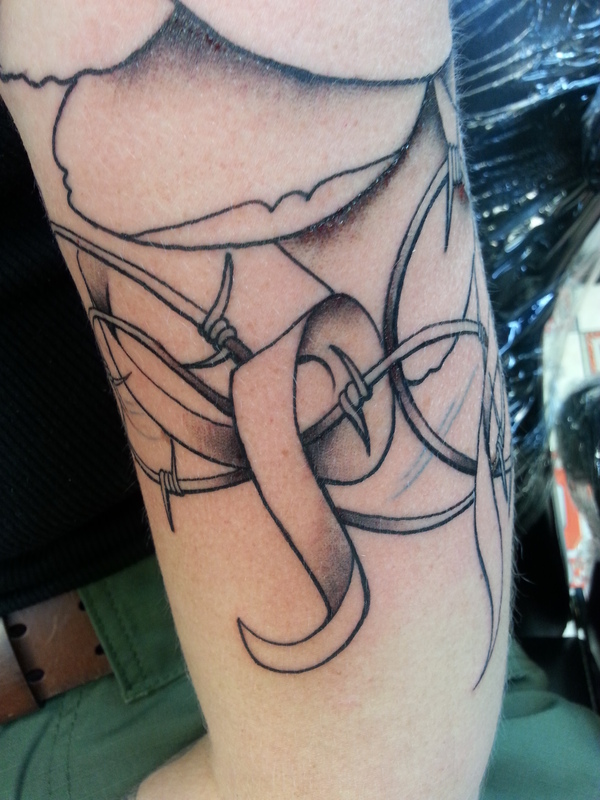 Endo Tattoo – Sneak Peek! So, I’m no stranger to tattoos. But it’s been five years since my last one. My ink needs to mean something to me…and after my diagnosis and new journey with Endometriosis, I knew what I wanted. 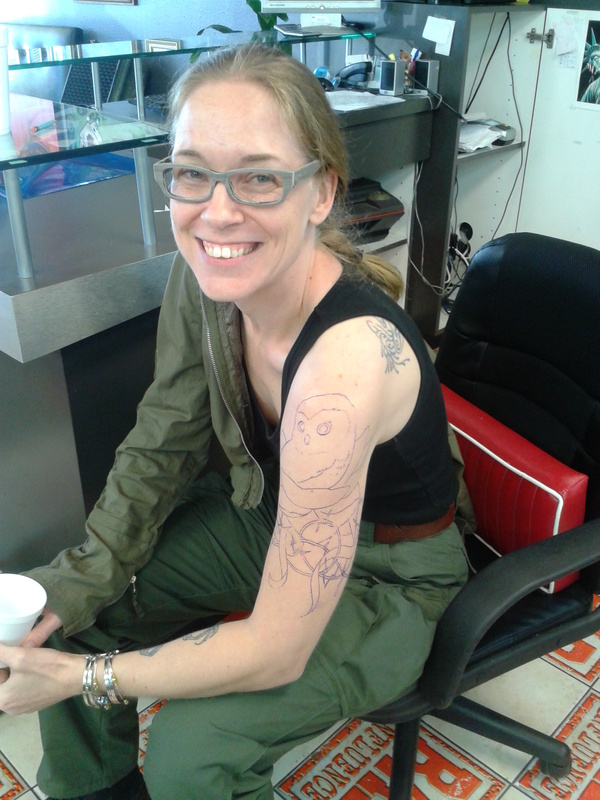 Yesterday, I had my first session (go back in in 2 weeks to complete it…) with Will Novotny at Bad Influence Tattoo. You, my blog followers, get a sneak peek at it before I share it on Facebook with my friends and family 🙂 I’d like to wait until it’s finished before I share it with them. But I cannot wait to share it with you! Please be aware it is not yet finished, but when it is, it will be AMAZING! 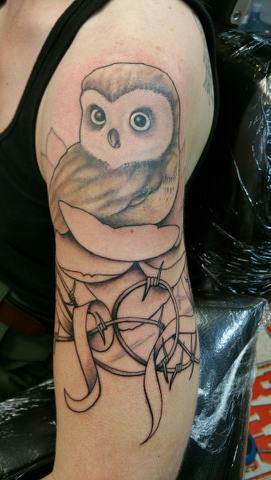 And all color will be added during my next session with my tattoo artist. 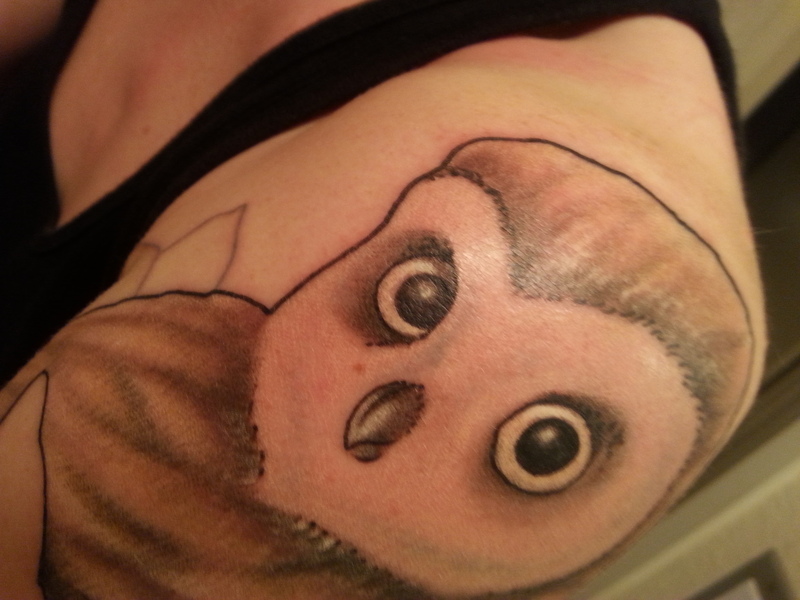 So, for my tattoo, I have an owl. 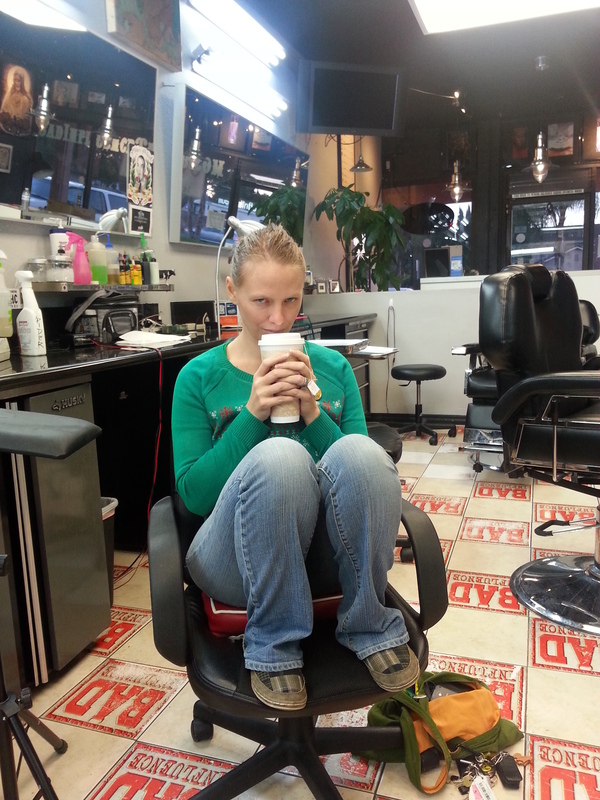 It represents my lady bits. 🙂 Owls are also associated with change, wisdom, intelligence, and death (interpreted by many as a “life transition change”). 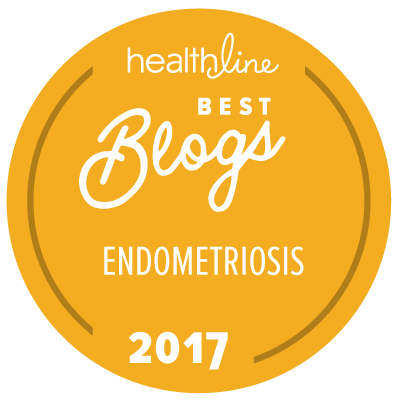 All of which I have gained since my Endometriosis diagnosis, which has also drastically changed not only my emotional life, but my physical well-being, diet, and thinking. Not yet visible in this tattoo is a drop of blood. 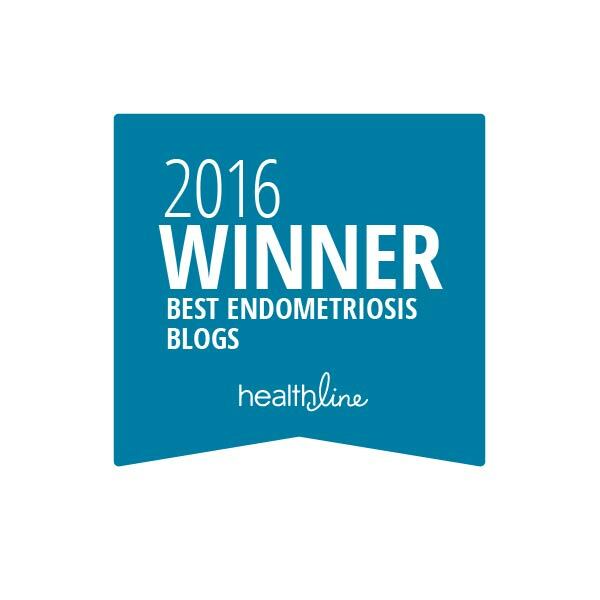 For each surgery I have regarding my Endometriosis, a drop of blood will be added. It will be a way for me to not only keep count, but to remember. And survive. The drop will be added during my next session with my tattoo artist. 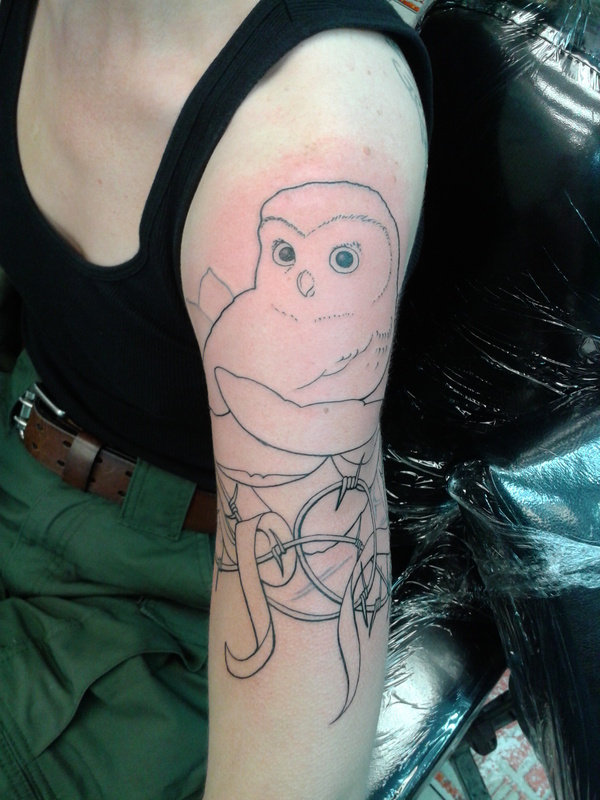 Will’s designed my piece, transferred it to flash paper, and the design is now on my flesh, just waiting for the ink! < Reader’s Choice : Enough is ENOUGH! What a lovely thing to do. I keep considering an endo tattoo.